Grass rockfish. Most grass rockfish are olive green. This one yellow, an uncommon genetic variation. 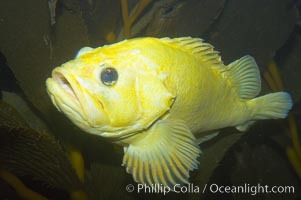 Grass rockfish, Sebastes rastrelliger Photo.